Veco provides the industry with high precision parts such as light stops that guarantee best product quality and examine performance. 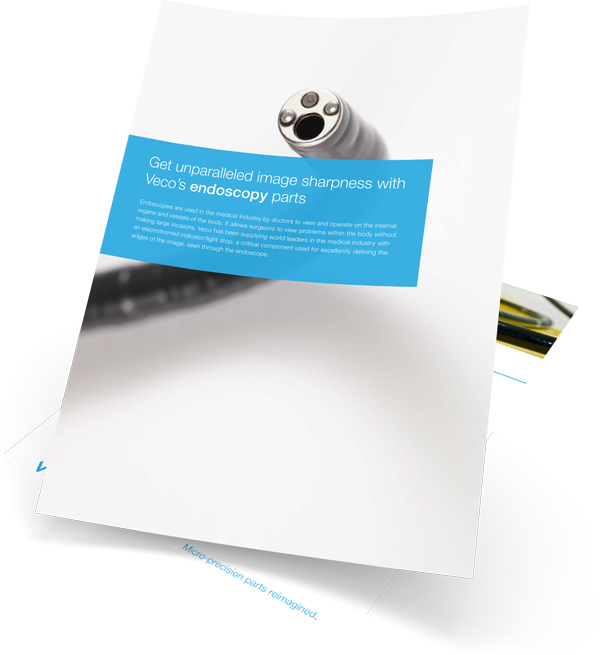 Download application note "Endoscope Light Stops"
Endoscope light stop is a key component in the illuminated optic part of an endoscope system. It defines edges of the imagines that are seen through endoscopes. With Electroforming, sharp, clean edges can be achieved without any burr or stress on the surface.